I looked earlier at some oft expressed concerns with regard to the conflict in Sri Lanka. After a quick glance at 8 concerns that related to the post-conflict period, I looked in great detail at concerns about alleged shelling of hospitals. The other matter about which concern has been expressed with regard to the duration of the conflict was civilian casualties. This too needs to be addressed in detail. 10. Concern has been expressed that the Sri Lankan forces deliberately or indiscriminately targeted civilians. This concern was first expressed forcefully after the campaign to regain control of the East, which concluded in the middle of 2007. Human Rights Watch soon afterwards, through the agency of Charu Latha Hogg, issued a reoort which was publicized as recording indiscriminat attacks on civilians. However the report itself recorded only one instance of civilians being killed. This was at Kathiravelli, when the forces had used mortar locating radar. The Human Rights Watch report noted that the LTTE had been in the camp that was struck, and that they had been carrying weapons. Bunkers had been dug in the camp. 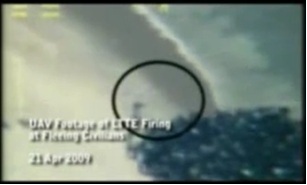 Despite HRW claiming that they had no evidence the LTTE had used heavy weapons inside the camp, the fact that there were no other instances of civilians being killed, the evidence of those inside the camp of LTTE activity therein, and the ready acknowledgment of the army of what had occurred, and the explanation it gave, all suggest that this was an obvious example of retaliatory fire that had a tragic outcome. More worryingly, it would seem that the reaction of HRW, and its insistence on making this the incident the centerpiece of its allegations against the Sri Lankan state, encouraged the LTTE in this strategy of promoting harm to civilians to achieve its own propaganda aims. While HRW may not have thought of the impact of its actions, implicitly supporting the LTTE technique of firing from amongst civilians and then crying foul when there was retaliatory fire, the international community must consider the long term effects of its discriminatory and selective responses. Had there been categorical condemnation of the LTTE for even the little bit that HRW claimed it had evidence for, the heavy presence of armed cadres in a camp for the displaced, the LTTE might not have gone ahead with its plan to force the civilians of the North into becoming human shelds. With regard to the campaign to regain control of the North, which began early in 2008, even TamilNet recorded only 78 instances of alleged civilian deaths during the period from June to December 2008 inclusive. As head of the Peace Secretariat, I monitored TamilNet during this period and, while my staff may have missed one or two allegations, the Al-Jazeera news crew with whom I shared my information confirmed that this matched with what they had received. The Air Force engaged in 451 strikes between June 2006 and December 2008. In 2006, in 32 strikes, the only one with regard to which there were allegations of civilian casualties was the attack on a compound in Senchoali at which the LTTE was conducting military training. Initially TamilNet claimed an orphanage had been bombed, but when it was pointed out that the orphanage had been closed a couple of years earlier the story changed to describe it at a children’s home. It was later indicated that there were no children in the home, but that children from roundabout were taken there for various courses in what was described as ‘Leadership, Self-Awareness and First Aid workshop’. The pictures almost immediately displayed by the Air Force however showed girls in military fatigues. 3 girls who survived were initially treated in hospitals in the south, but the UN wanted them taken back to the Wanni. After one girl then died however while in Vavuniya, government then took over care of the girls and, after they were well, kept them in a safe location. This was handled by a member of the staff while I headed the Peace Secretariat, though even I was not made aware of the precise location. The girls gave evidence at the Commission of Inquiry and made it clear that they had been forced to undergo military training. This was confirmed recently when I visited the school at Vallipuram which had been used as a hospital during the conflict. Persons working at the school confirmed that the LTTE had insisted that the children, some as young as 13, do physical training in the school premises, the staff having been sent away. The girls were then taken for more advanced military training to Sencholai. In 106 strikes in 2007, there were only 3 in which civilian deaths were alleged. There were only four other strikes with regard to which injuries to civilians were alleged. This record is perhaps unrivalled by any other air force engaged in fighting terrorism, and is certainly a very far cry from the relentless assaults on civilians engaged in during the war against Iraq, by countries from which are heard the loudest attacks against Sri Lanka. In the whole of 2008, when there were 313 strikes, in only 26 were there allegations of civilian deaths. A total of 61 individuals are alleged to have been killed, with just 1or2 persons in 19 of the strikes. These latter instances were not likely to have involved targets close to civilian habitation, and were doubtless due to civilians in dangerous places, when they were not because of the LTTE practice of making civilians work for them in military installations. With regard to cases of greater numbers I would ask for explanations, and these were unfailing provided by the Air Force, and were usually most convincing. Young officers would arrive in my officers carrying maps on which they would point out the targets that had been taken out. We would indeed discuss some of these cases at my weekly office meetings, and navy and army personnel would complain that the Air Force refused to take out clearly identified military targets if there were civilian habitations close by. I find it significant that no one in the Western media is at all concerned to study how our Air Force conducted itself. Though it is possible that the plethora of allegations that were flung in 2009, and which I shall consider next, made the international community dubious about us, I believe those who actually monitored the conflict are well aware of this excellent record. I suspect rather that any consideration of this would show up how appalling is the record of more powerful countries, so our circumspection has to be forgotten.